​Areas of instruction include basic and intermediate computer skills, the Internet, Email, Mobile Technology, and a variety of specific applications. ​Teachers are volunteer members and guest instructors. There is a small fee for each class. 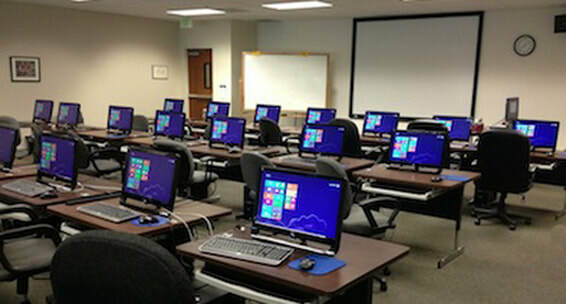 Enrollment does not require membership in the PC Club, but members receive a discount. If you are a PC Club member you will get an email with the information needed for registration. Information is also available on the club website: http://www.thepcclub.org or in the PC Computer Workshop on the 3rd floor of the Administration Building. ​In addition to classes, the Learning Center hosts Special Interest Group (SIG) learning sessions. These sessions focus on a particular subject of interest. SIG sessions are less formal and have open question-and-answer periods. SIG presenters include PC Club members and selected outside sources who share their knowledge, experience, and interests. You will be directed to log into your account. When you are logged into your account follow the instructions to complete the registration. print your name and email address on the back of the flyer and return it to the ​PC Club workshop. The SIGs are held at the Learning Center on the third floor of the Community Center. SIGs are generally not a hands-on event, however attendees are encouraged to use our PCs, or bring a laptop or tablet to quickly check out or utilize new information. ​Seating is limited; all residents welcome, but PC Club members have priority. ​Please RSVP to ensure inclusion. 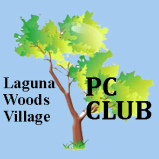 The Laguna Woods Village PC Club’s Learning Center admits students of any race, color, national and ethnic origin to all the rights, privileges, programs and activities generally accorded to students at the Learning Center. It does not discriminate on the basis of race, color, national and ethnic origin in administration of its educational policies, admissions policies or other programs.